All things eCommerce, all the time. In a world of instant gratification, we still want to feel like we can make a difference. And the reality of it is, we can! With eCommerce based donations, we can still channel that desire to give back and promote the greater good. Online donations make it even easier to give contributions to causes we care about. Why eCommerce is growing, and how you can get in on this. eCommerce is growing rapidly and if you have ever considered starting your own online business, now is the time! We consistently help people all over the world get set up with an eCommerce website in as little as a day. There are dozens of data points you can track in your ecommerce store. 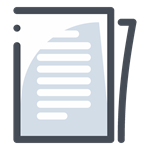 Users, sessions, transactions, conversions and more! Are you lost yet? Keep reading for an in-depth explanation. The more you know, the more you grow. Are you compliant? How does TLS affect you? Read more to find out. TLS is an acronym for “Transport Layer Security,” which is the protocol that allows electronic devices (such as computers and phones) to communicate securely over the internet without the transmission being vulnerable to hackers. The latest PCI standards are mandating that any site accepting credit card payments (eCommerce) use TLS 1.2 after June 30, 2018. Attract new customers with an easy, fast and clear booking process. The Advanced Search module is a powerful search plugin for RazorCart. The quick order module is a powerful spreadsheet style order form that allows your customers to quickly order many products with a single button click! Our new eCommerce platform has arrived. 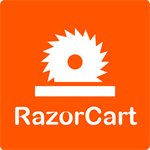 RazorCart is our next generation eCommerce platform for DNN, built using the latest technologies. It allows you to extend/change anything about your store without modifying the core software.